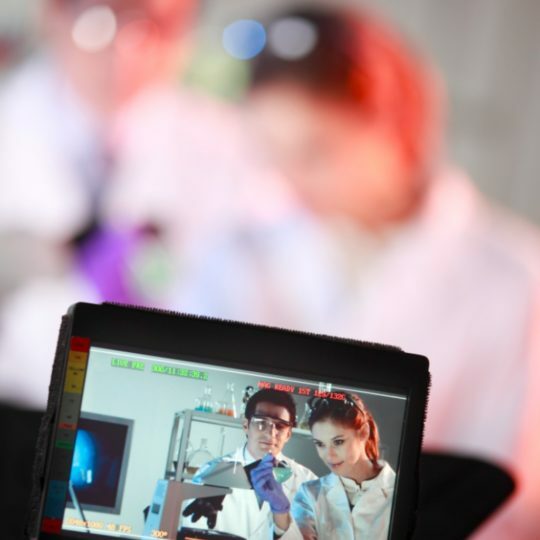 A professional, succinct message is the necessary goal of each video in the medical industry. Whether you’re informing physicians of a new device or explaining a procedure to a patient, you need to make sure that your audience is both engaged and informed. These goals are the driving force behind the medical video production services at Top Pup Media. We know the hurdles and, thanks to our decades of experience in medical video production, we know how to clear them. The demands of medical video production can be just as varied as medical conditions. That’s why we work closely with our clients to ensure that your medical video appeals to your specific audience and meets all of your needs. We can produce all types of healthcare visual media: patient education videos, compelling promotional pieces, employee and HR videos, interactive CME programs, live event videos, and more. The medical video production professionals at Top Pup Media know how to help you engage and inform a medical audience. Striking the balance between information and entertainment is particularly complex for the healthcare industry. Your message must be informative as well as fast-paced and engaging. From services for simplifying hospital admission to promotional material for Texas Health Hospitals, we have driven many medical video projects from concept to completion. These videos, like medicine itself, are precise. Like a seasoned physician’s bedside manner, we communicate your message clearly and concisely. We understand your primary audience is healthcare professionals who have very little time and no patience for ambiguity. Check out our work in these areas on our portfolio page. No matter how educational, informal, appealing, or professional you’d like for your videos to be, our experience as a trusted medical video production company allows us to create exactly what you’re looking for. At Top Pup Media, we’re in this with you from start to finish. Our goal is to make your medical video production experience a collaborative and painless process, from script writing and animated graphics, to website adaptation, duplication, and distribution. Your project, no matter the size, will receive personalized, boutique-style treatment. No need to coordinate different vendors for writing, graphics, or editing. We take care of it all.